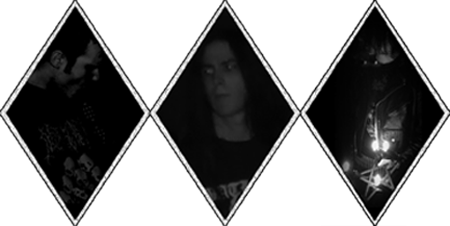 Out of the black abyss of Spain in 2006, Domains were born; a three piece death metal group with only the most depraved Luciferian embellishments in mind for their perverse sound. Fast forward to 2009 and the trio release their limited demo, Towards Pleroma, where three tracks that would later appear on their debut full-length title, Sinister Ceremonies, were born. It's unknown at this time exactly how far the wretched reach of the band has extended, as they remain an entirely underground entity at this point, but they're known well enough to have sold out the 500 pressings of their demo. With Domains now having reached as far as my home in Canada, should their darkness be allowed to extend? I have to say that I'm thoroughly impressed with the extremely old school cult way that vocalist/bassist David Aggressor reached out to me; not only did he send a CD by mail, but also a handwritten letter on a band letterhead with two flyers... one of which bares "Hails Villi Thorne!" in silver sharpie. This is the kind of packaging that died out in the 90's, and I'm more than happy to see it come back and wish to see more bands partake in this personalized level of contact. It really got me thinking on how generalized and insincere we've become as a society, however this is a review and not a look at my own personal reflections. From the introduction of the material right up until the last second, Sinister Ceremonies is filled with a creepy, cavernous old school death metal atmosphere that pervades each track; the aria surrounds the instruments and vocals as a whole, rather than acting as a barrier. This haunting sensation is mostly due to the echo that the content is given, along with the dry distortion of the guitar; however, the inclusion of horrific cries of agony, diminished riffs, and occasional obscure synths make the absolute hellishness of the album come alive. The material rises to it's ethereal climax during both "Crowned at Dusk" and the instrumental epic "Labyrinth of Incense", and from there on out the content becomes exceedingly gloomy as it winds down to a crushing finish with the title track. Each song is embroidered with a variety of ghostly melodious solos, such as in "Mastery", each of which manage to enrapture the audience with ease and send a shiver across the flesh. Among the nefarious webbing of red-letter riff progressions are areas structured for heavy string bridges, most of which are pulled off on the A and D strings at a medium to low fret range; this assembly further enhances the malevolent feel of the content, and brings it to a slowed older death metal pace that fills the listener with an overwhelming sense of dread and malice. The guitar also switches up it's method between palm muted and open strummed chords, often intertwining the two to create creative compositions that stand out distinctly. As an example of just how dark the content can get, "Raped by Darkness" is a track that's accompanied by some of the most remarkably gruesome guitar segments of the content, all wrapped up in a brooding sluggish tempo. The only chance that the album gets to break away from the deep distortion of the guitar and the death grip from the ambience is during "Hopeless", a track that makes use of light acoustics that find themselves backed by eerie choir synths. 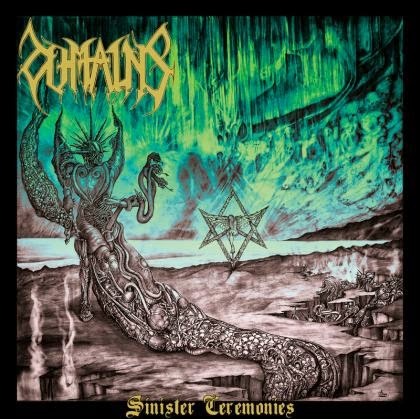 While the vocals don't exactly offer up anything new or fresh in the world of death metal, they suit Sinister Ceremonies perfectly with their drawn out, gut-based growls. The lyrical matter is enticingly macabre, which further pushes the thick, suffocating aura and general feeling of unease that the album gives off. The few quick growls at the beginning of "Eucharist of Relevance" are a perfect prelude to an explosion of moderately rapid guitar strums and furious blast beat drumming, but it's just a small offering of the huge impact that the drums have on the content. 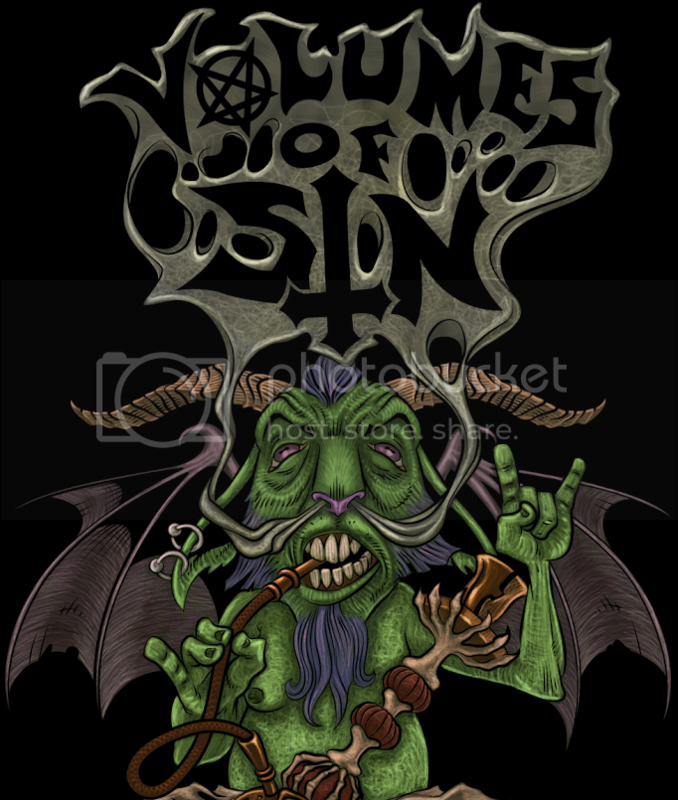 More than just simple blast beats with double bass, the drums often incorporate intense drum rolls, such as in "Through Infernal Damnation", and a large portion of snare and hi-hat compilations between each onslaught of frenzied rhythms. When appropriate, the drummer slows down to match the crawling tempo of the guitar, keeping a tight pace along it's side. The height of the drummer's capabilities are showcased in "Labyrinth of Incense" with the quickest double bass kicks of the material, alongside some zesty tremolo riffs, horrified vocal wailing and a doom-laden solo. By far, Sinister Ceremonies is old school death metal at it's most dark, Satanic, deadly state. If one didn't know the time frame of this album's release, from audio alone it sounds as if it were recorded in the late 1980's or early 1990's. 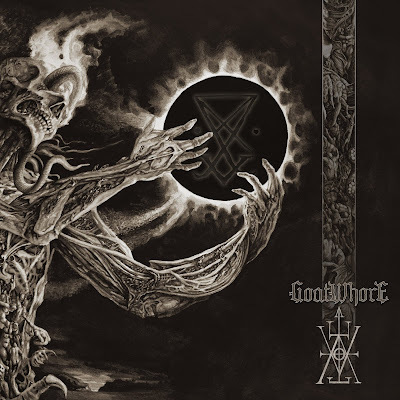 The outstanding atmosphere in the album is unparalleled by many and rivaled by few, and causes the material to be one of the most creepy descents into death metal in both recent and long term memory. The listener will find themselves being held prisoner by the dark, soul crushing compositions, along with the doom/old school death metal inspired solos that frivolously line the material. Domains have summoned an album from hell itself. Sinister Ceremonies is one of the few albums to come along in recent years that whispers the word "masterpiece", it's an absolute hidden masterpiece that will shake the underground unlike any other. The best part of all, you can get it for free over at the Domains Bandcamp page. You'd be an absolute fool to pass this horrific experience by.